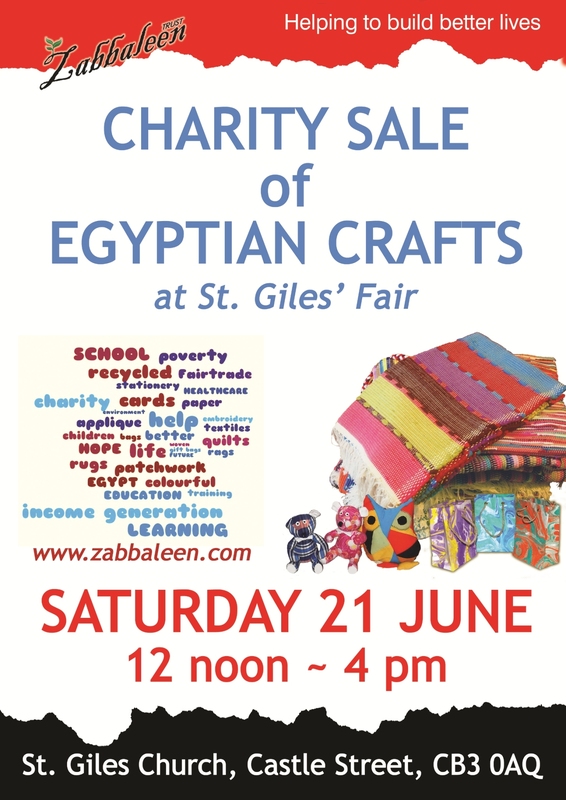 Come and see the beautiful woven rugs and bags, patchwork quilts and coverings, greeting cards and Christmas cards and decorations – all on sale in St. Bene’t’s Church, Benet Street CB2 3PT in the centre of Cambridge. We’ll be there all day, 10.30 am to 4.30 pm and hope to see you there. Please let your friends know too. 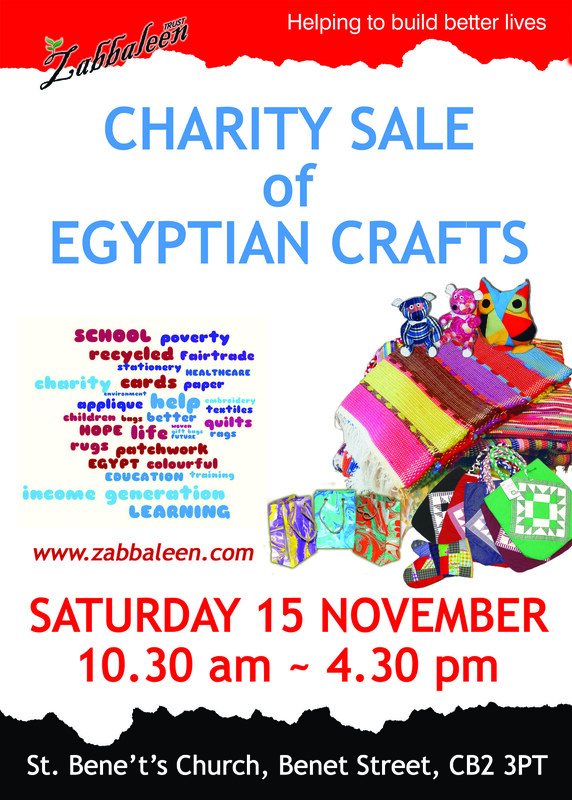 All the money will go back to Egypt to help support a struggling, disadvantaged community there – with education and training for children and adults – helping them to build better lives. SOON in September – two sales of products made in the Garbage Village, Cairo. Patchwork items (small quilts, bags, cushion covers and useful household items such as oven gloves), woven rugs, mats and bags, and paper products (greetings cards, gift bags). These are all made from recycled materials, fairly traded and very affordable! 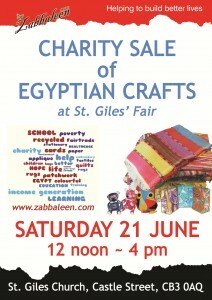 We are holding two sales of products made in the Garbage Village, Cairo. We will have patchwork items (small quilts, bags, cushion covers and useful household items such as oven gloves), woven rugs, mats and bags, and paper products (Christmas cards, greetings cards, gift bags). These are all made from recycled materials, fairly traded and very affordable! 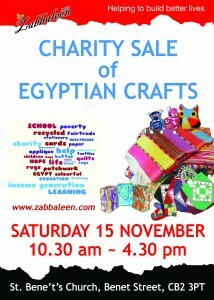 SALE on Saturday 8th December, 10.00 am to 4.00 pm at St. Giles’ Church, Castle St. Cambridge.